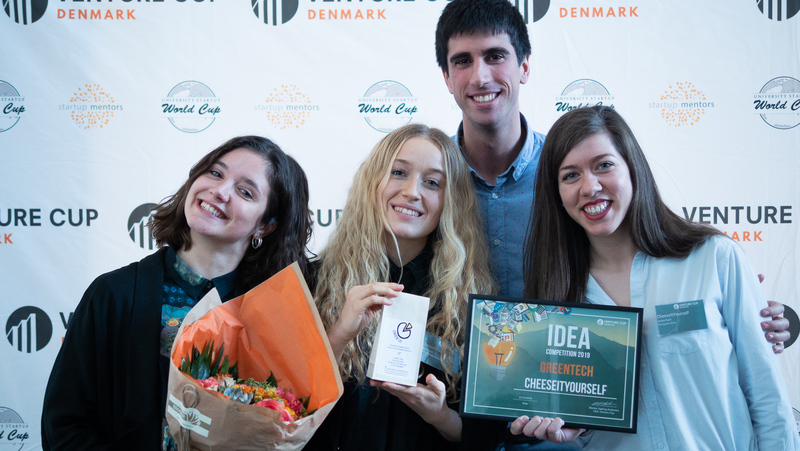 Each year, Venture Cup hosts national startup competitions for all Danish universities. Here, students from different fields of studies can meet over a good idea! The synergy created when talented students gather is something that we are trying to nurture and a good platform for creating sustainable business ideas. As the universities' common platform for entrepreneurship, our competitions are the place to showcase university startups and benchmark entrepreneurial initiatives. 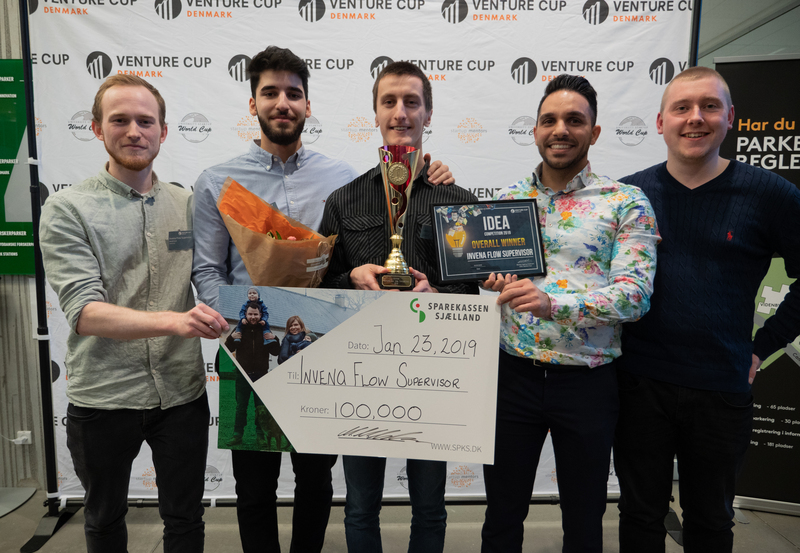 Venture Cup is the bridge between the academic world and the business community, and we always include corporates and business people when assessing the startups to give them feedback and connections from outside the academic world. 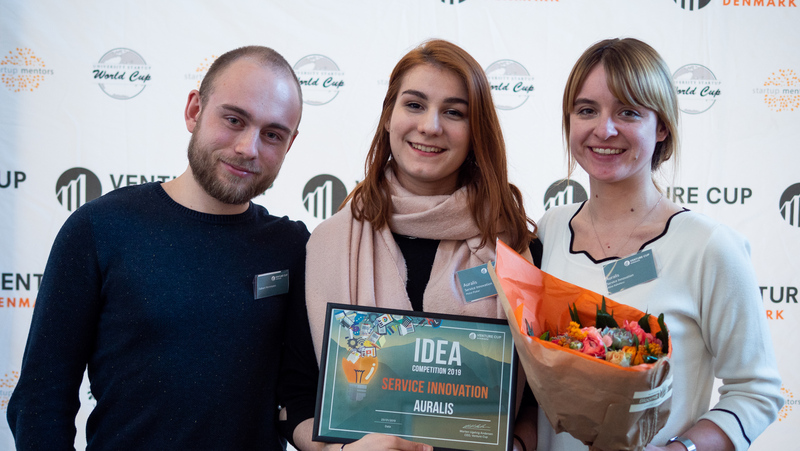 When we host our startup competitions, we open the doors to everyone who's interested in learning more about university entrepreneurship and see the best startups live-pitch on stage. Our award shows are usually sold out with more than 300 guests, and it is a great platform for us to promote the universities and the entrepreneurial students! 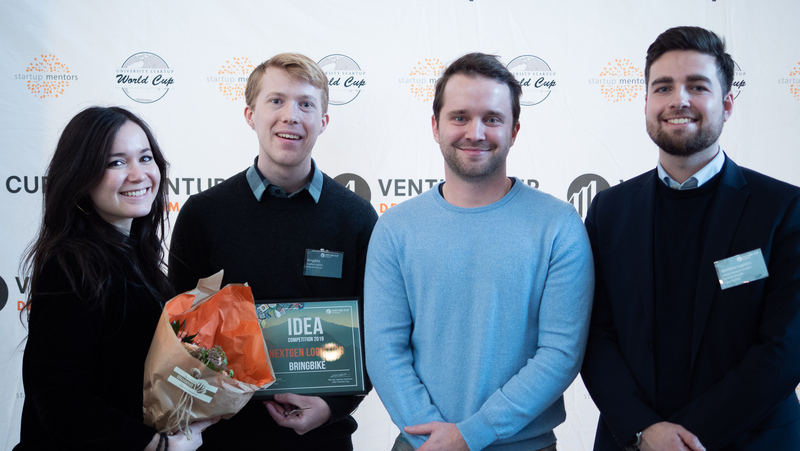 If you want to learn more about how to join the Venture Cup family as a university startup, juror, sponsor or the like, contact Project Manager Jesper Emil Jørgensen. All university students as long as at least one of the team members is affiliated to a Danish University and resident in Denmark. You should be beyond idea stage but not have landed that million investment either. Examples could be (not all included) MVP ready to test on market/proof of concept, past first sales, in contact/agreement with potential suppliers or other collaboration partners, etc. 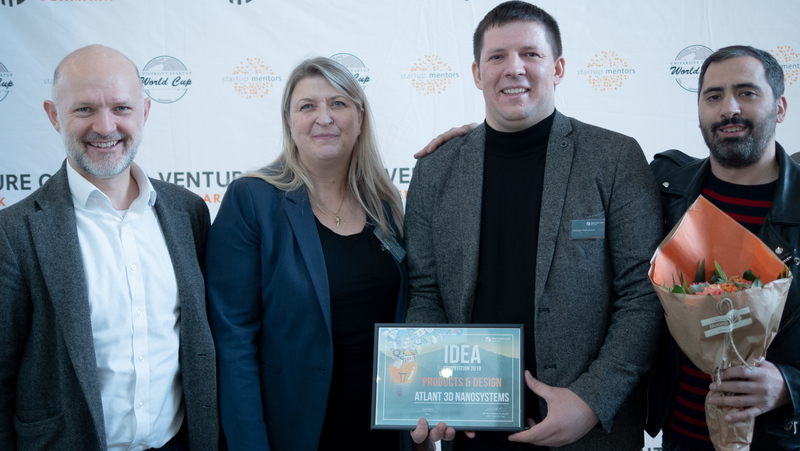 Venture Cup will initially do a pre-screening after deadline and sort out unqualified applications + inform applicants if they have not advanced for the competition’s jury round. However, this is usually below 5 % of the applicants and we encourage all to apply if having doubts (it won’t cost you anything). See all general rules for the competition here. You submit your online application through the YouNoodle platform containing basic information about your startup and team members plus a business plan of max 5 pages written in English. For inspiration and overall guidelines, see a template here. At least one team member must be able to participate in the semi-finals and the final Award Show with a 4-minutes pitch + pitch deck. We'll provide pitch training for the finalist teams. Environmental sustainability is a keyword in this category. This is for you who have a business idea which ultimately could help save the planet. For instance, how to reduce food- and water waste, improve green energy, clean up the ocean, etc. This category is targeted optimization of humans’ health regardless if it is an instrument to improve medical processes within the health sector or a platform that generates more awareness of diseases and symptoms among the general population. In other words, if your purpose is to save more lives or create better well-being, you have come to the right place. Got an idea for an app that could make life more fun and more simple? Or perhaps you are challenging the bank industry with a new digital solution? Apps, IT-systems, etc., which are not with a specific green or health purpose are welcome here. This category is for the startups who have invented a physical and tangible device that does not fit within the Green or Health category. This could for instance be within the field of robotics, a new mechanical device for manufacturing, kitchen tools, etc. Flow monitoring system for IV infusion therapy. ATLANT 3D Nanosystems brings micro-/nanofabrication from cleanroom to desktop 3D printing. CheeseItYourself offers an ingredient mix to revaluate aquafaba by turning it into a delicious do-it-yourself plant-based cheese. BringBike is a convenient solution to bring your bike with you on the bus, whenever and where ever you go. We are developing a solution that uses modern technology to improve spatial orientation for the visually impaired.